Srinagar, Sep 8: Justice (Retd.) 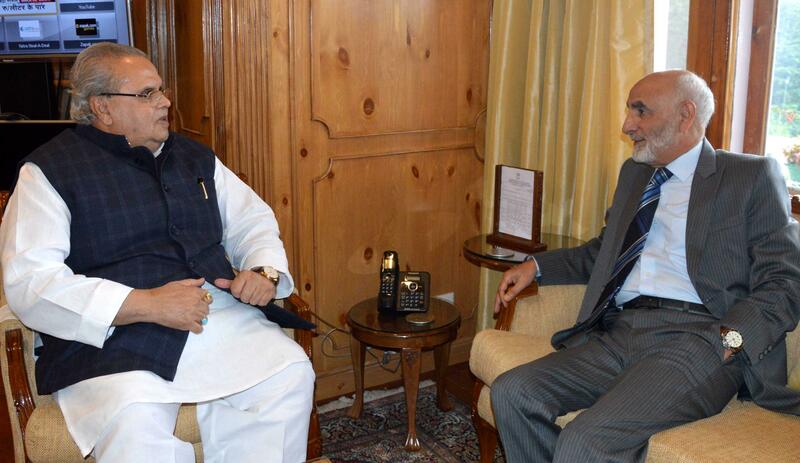 Bilal Nazki, Chairman, J&K State Human Rights Commission, metGovernor Satya Pal Malik at the Raj Bhavan here today andbriefed Governor about the functioning of the Commission. Governor and Justice Nazki discussed issues relating to steps required to be taken for ensuring against denial of rights to women, underprivileged and weaker sections of the society, maintenance of proper treatment of prisoners in various jails etc. Governor stressed the crucial importance of governance by the Rule of Law and protection of Constitutional and fundamental rights of the citizens. Referring to the high importance attaching to the responsibilities entrusted to State Human Rights Commission he urged Justice Nazki to make the citizen’s aware of Commission’s objectives so that its work can be carried out effectively.